HandBrake Error "No Valid Source Found"
Handbrake is a free program that available both for Mac and Windows users to rip DVD and convert videos. Although Handbrake has added some support for Blu-ray ripping, it doesn't handle commercial copy-protected Blu-ray Discs. HandBrake also makes it clear in its supported sources list- "Any DVD or Bluray-like source: VIDEO_TS folder, DVD image, real DVD or bluray (unencrypted - removal of copy protection is not supported), and some .VOB, .TS and M2TS files." That mean HandBrake converts neither encrypted physical Blu-ray Disc nor decrypted commercial Blu-ray movies in BDMV file structure. While, most Blu-ray movies can only be played with an exclusive Blu-ray player and the digital contents in the disc cannot be directly copied since there are copy protections in the disc. Problem is, Handbrake cannot rip protected Blu-ray discs. 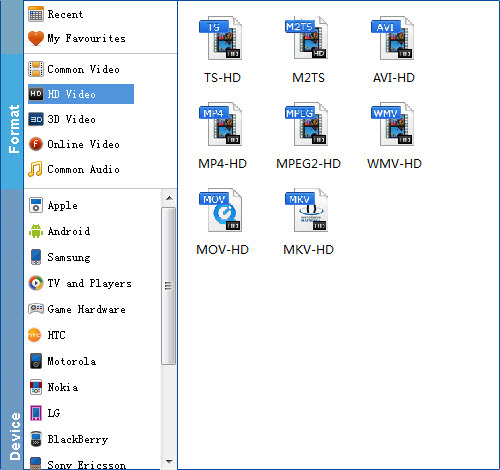 Fortunately, there are many Handbrake alternative programs out there that allow you make copies of your Blu-rays and let you watch them the way you want to view them. The best handbrake alternative for ripping protected Blu-ray movies I can recommend here is EaseFab Blu-ray Ripper. Specially designed for Blu-ray video zealots who use Windows OS, the excellent alternative of Handbrake is an intuitive program that can achieve all kinds of 3D/2D Blu-ray and DVD ripping, conversion and backing up tasks. It can help you rip and convert Blu-ray discs to any popular video formats such as MP4, MOV, AVI, WMV, FLV, MKV as well as any popular audio formats such as AAC, AC3, MP3, OGG and WAV. Moreover, it comes with optimized format presets for almost all popular multimedia devices so that you can enjoy your favorite movies wherever and whenever you go. The process is straightforward, with only three simple steps, you can finish ripping your Blu-ray movies. Insert your Blu-ray disc into Blu-ray drive. Launch the top Handbrake alternative and click "Disc" button to import your Blu-ray movies. Clicking the Profile tab, here you can select MPEG-4, MPEG-2, MKV, WMV... from the Common Video category list as the target format. Or you can choose a preset for you device like iPad. Tip: EaseFab Blu-ray Ripper come with preset formats for more than 150 devices, such as Apple TV, iPhone 6, iPhone 6 Plus, Samsung, iPad Air, iPad Mini, HTC, iPod touch 5, Creative Zen, Sony, Sandisk, Motorola, Archos, Nokia, Zune, BlackBerry, iRiver, PSP, Xbox 360, PS3 and more. When all settings are done, what you need to do now is to click the big Convert button and the program will begin ripping Blu-ray immediately. So there you have it. Pretty simple. If you want to convert Blu-ray videos to various format and your devices, this Blu-ray ripper will be absolutely the best choice. Just get the best Handbrake alternative and have a try!